(NaturalNews) ‘Let food be thy medicine’ is a saying attributed to Hippocrates, who is known as the Father of Modern Medicine. We would be well off to heed his advice, but by and large, we do not, for it is the Standard American Diet that is making us sick. A look at the most often prescribed medications reveals the most common health conditions we are being treated for. And these conditions reveal a problem with our diet, because our poor health is closely correlated with our poor food choices. Our food supply has been adulterated by heavy processing, it’s laden with chemical additives and pesticides, and it lacks the all-important mineral content, due to poor quality soil, after years of high-intensity agricultural practices. Is it any wonder that we are one of the sickest nations in the developed world? This truism is all too true, for if we eat healthy foods, we will be healthy. But if we eat unhealthy foods, we will be unhealthy. Here is a list of the top ten prescriptions in America in 2016 (from LowestMed.com), along with the associated health condition, the dietary culprit, and a healthier dietary approach. 1. Atorvastatin Calcium is prescribed for high cholesterol. The most recent research bucks conventional wisdom and attributes high cholesterol to refined carbohydrates, not fats. Substituting high quality fats and oils for the empty carbs is the solution. 2. Levothyroxine is used to treat hypothyroidism, or an underactive thyroid. Fluoride in our food and water is absorbed by the body in place of iodine. Iodine is woefully deficient in most people and is essential for healthy hormone production by the thyroid gland. Try to avoid ubiquitous fluoride and supplement iodine. 3. Lisinopril is used for high blood pressure, which is associated with heart attacks. Too much salt is blamed for high blood pressure, but low magnesium is most often overlooked. 4. Omeprazole treats reflux symptoms, which medical orthodoxy says is caused by too much stomach acid, whereas it is likely caused by too little production of hydrochloric acid. Make sure you get enough sodium chloride, or table salt in your diet. 5. Metformin is used to lower blood sugar for diabetes patients. Many physicians now blame a diet rich in refined carbohydrates for the onset of type 2 diabetes, and believe that it can be controlled solely through diet. 6. Amlodipine is used to treat hypertension. 7. Simvastatin treats high cholesterol. 8. Hydrocodone/Acetamenophen treats pain; not necessarily related to diet. 9. Metoprolol ER is prescribed for hypertension. 10. Losartan is prescribed for hypertension. “In recent years, research has indicated that we may have been doing it all wrong. To verify that, just ask yourself: If low-fat diets work, why are we so fat? Sure, you could blame some of it on people with weak willpower, or metabolic problems, or whatever. But when nearly two-thirds of the nation is overweight, those excuses just don’t hold water. Many natural and non-toxic alternatives are available in the form of foods, supplements, and herbs for the above listed maladies. 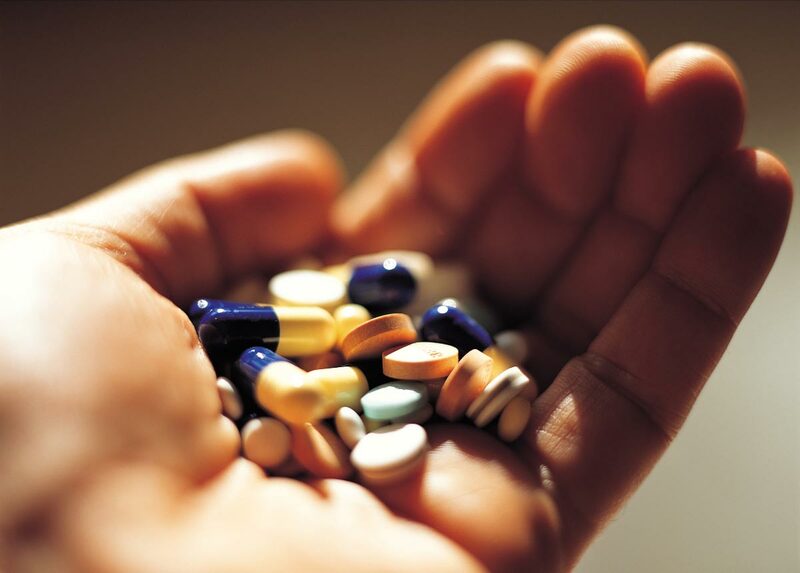 All prescription medications are toxic to an extent, some with serious health consequences. Most medical doctors have very little nutritional training, if any. Many doctors will straight up tell you that nutrition does not affect disease conditions. Are the insane running the asylum?